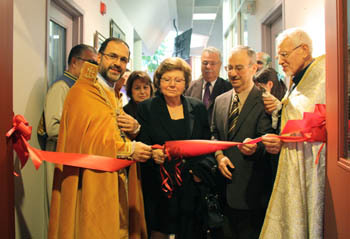 On Sunday, November 1, 2009 the Divine Liturgy was celebrated by Holy Trinity Armenian Church pastor, Rev. Archpriest Zareh Zargarian. 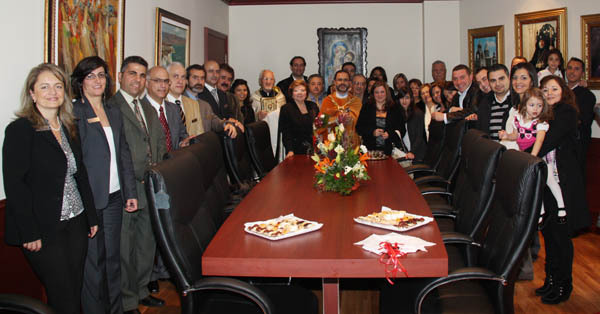 Following the Divine Liturgy, a special blessing ceremony of Newly Renovated “KRIKOR & VARSENIK NALBANDIAN” Boardroom took place. The renovation was made possible by the heartfelt donation of Armen, Murad & Stepan Nalbandian brothers in memory of their beloved late parents. 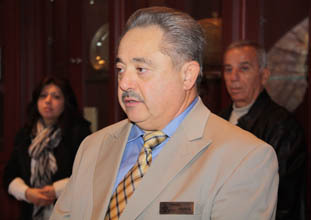 The Nalbandian family members and close friends of Nalbandian family were gathered and took part in opening ceremony and blessing of the boardroom. Fr. 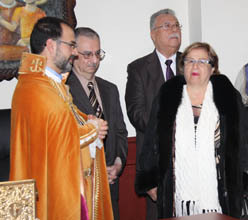 Zargarian welcomed the guests to the ceremony and appreciated the Nalbandians’ kind attention and efforts to assist the Armenian Church over the years starting from the time they lived in Iraq. Also, Fr. Zargarian thanked Mrs. Noushig Tahtajian, the designer. Mr. Armen Nalbandian and his sister expressed their feelings on behalf of family and announced their sincere happiness on this occasion which would keep the memory of their parents alive whom they respect and love very much. Mr. John Satouri, the chairperson of the parish council, expressed his sincere gratitude to Nalbandian brothers for the renovated boardroom and promised to continue working hard with his co-workers for the best interest of the church and its mission. On this blessed occasion, the parish council members served brandy, chocolates and sweets to all present. 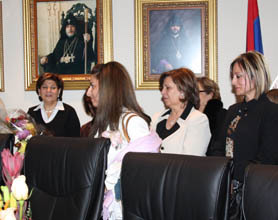 Flower bouquets were presented to the ladies in Nalbandian family as a token of appreciation. Following the ceremony, everyone joined the festive mood in the “Magaros Artinian”Hall where the Annual Bazaar took place, organized by hardworking and energetic Women’s Guild.